Group Family General Info: Shimano's second in line road group set, introduced in the 1970's as the 600. The 600 group became the 600 Ultegra and then dropped the 600 all together to become the modern Ultegra groupset. 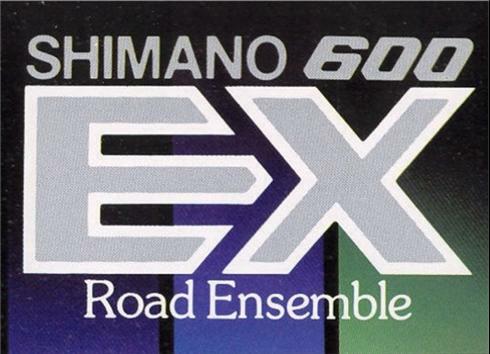 General Info: The Shimano 600EX groupset was made in a multitude of variations and generations. Often, more than one variation was being produced at the same time. Included in the Shimano 600EX groupsets is the easily recognizable Arabesque group with detailed engravings and designs. The 600EX group went from friction shifting at its introduction, to 6 speed SIS shifting later in the 1980's.